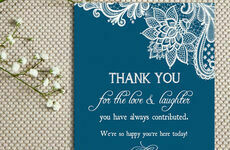 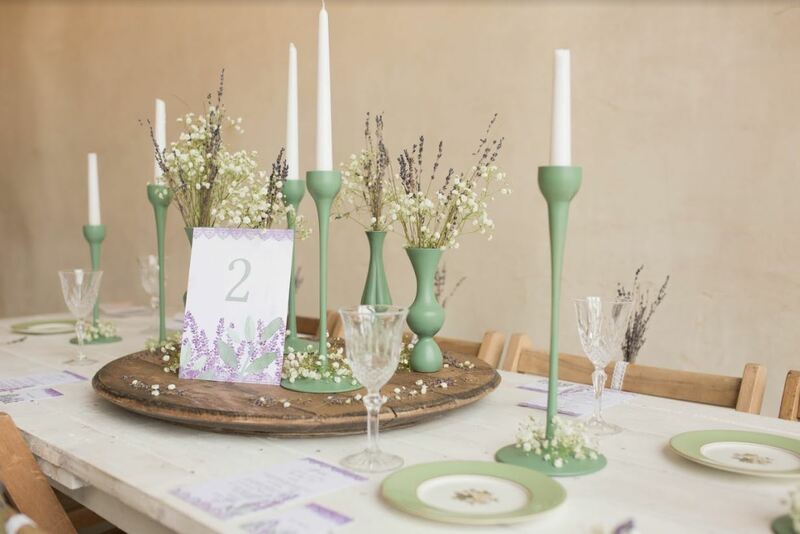 At Hip Hip Hooray we're currently infatuated with the Lavender and Sage theme. 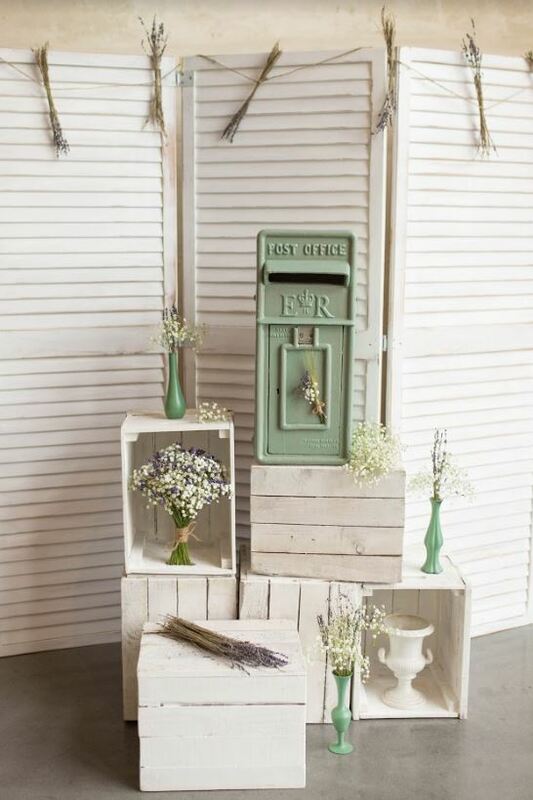 In an age where everyone is seemingly obsessed with events that offer the appearance of opulence and drama on a lavish scale, there's something appealingly understated, elegant and demure about the subtle tones of green and pink in this calming colour palette. 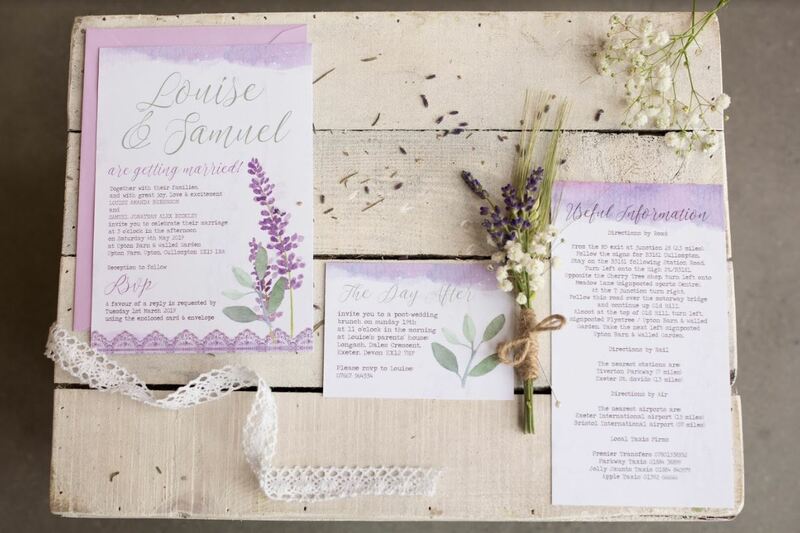 Lavender and Sage is a versatile theme that suits everything from summer garden party style ceremonies to idyllic country barn settings, providing you with a touch of rustic tranquillity that will compliment your outfits and your wedding decor. 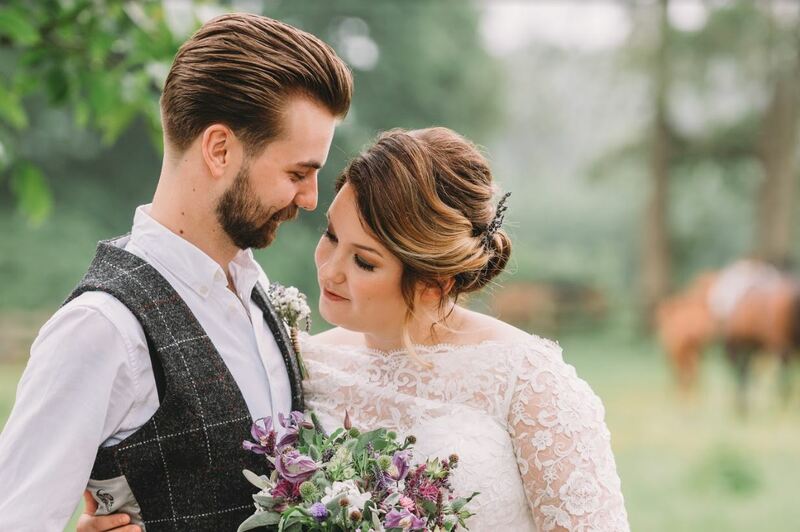 To celebrate this timeless theme, we teamed up with some of our favourite wedding companies, photographers, bridal accessory designers, florists, cake makers and more for a stunning photoshoot to spark your creativity as you plan your big day ahead. 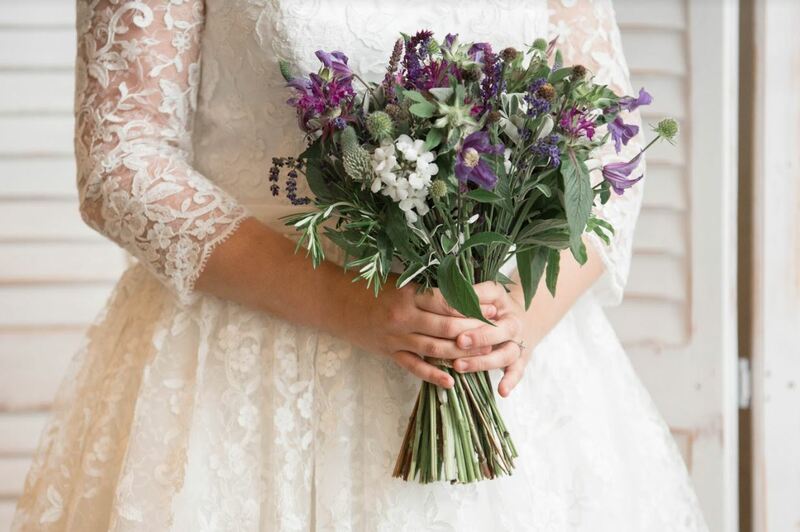 Lavender and sage makes an effortlessly charming bouquet that looks far more authentic and exquisitely natural than those ultra preened and over-the-top bunches that have become the norm at many modern weddings. Minimalism is in - particularly when you're opting for the lavender and sage look! 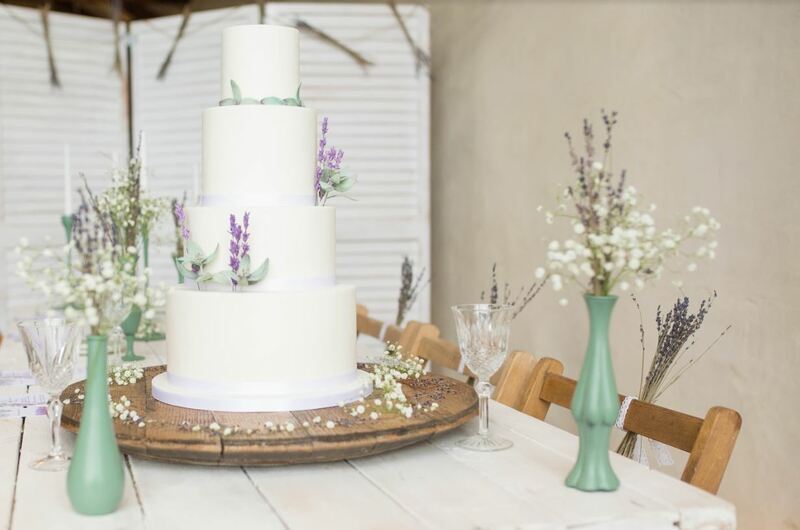 No longer do wedding cakes need to be a tower of elaborate icing and overdesigned decoration - take things back to their beautiful basics with a wedding cake that is more of a personal statement than a garish talking point. 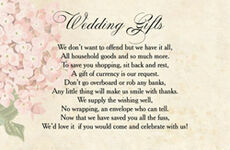 If you want that dream countryside wedding, revel in the quaint embellishments that make British life so symbolic. 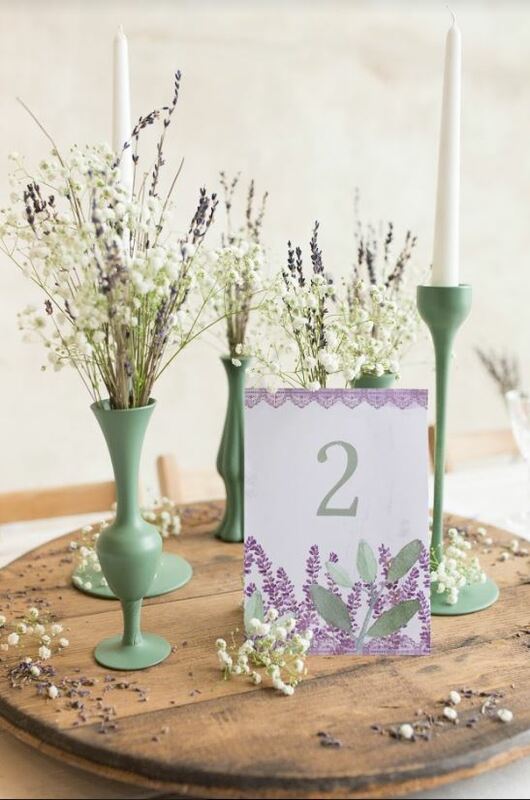 Tie everything together with the perfect invitation suite to give your guests a mesmerising glimpse into your lavender and sage surroundings and then encapsulate your theme on the big day with matching table numbers, seating plans, RSVPs and more. 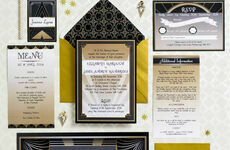 Photo shoot concept, coordination and prop hire by The Prop Factory.